The children and ex-wife of slain Cleveland Fire Lt. William Walker spoke out about their father's murder Monday evening. "My father did not deserve this at all. He was such a great man, a great role model," said Melody Walker. Rita Walker, William Walker's ex-wife and the mother of Chris and Melody Walker, said that Uloma Walker-Curry, who's been charged in William Walker's death, was in their lives for several years. 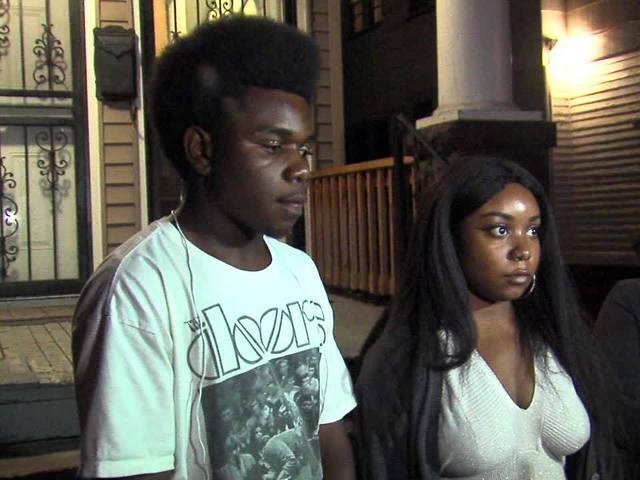 "We were all shocked," Melody Walker added, standing on her front porch between her mother and brother. "Our father was always very positive. He never let things get him down for too long; he always tried to keep his head up and move forward and so I guess that's what we're striving to do as a family and keep his legacy going," said Melody Walker. That means continuing their educations. Rita Walker added, "They're both amazing kids and, again, that can be credited directly to their dad. Although we were not married—we were divorced—but we worked together with our kids. And he always taught them to just reach for the sky. There's no ceilings in his world, and I think he passed that on to our kids."